We had the wonderful opportunity to visit some of the other LatinLink members last week as we traveled around the country. We stopped off in La Paz first, where we organised our onward trip to Apolo. 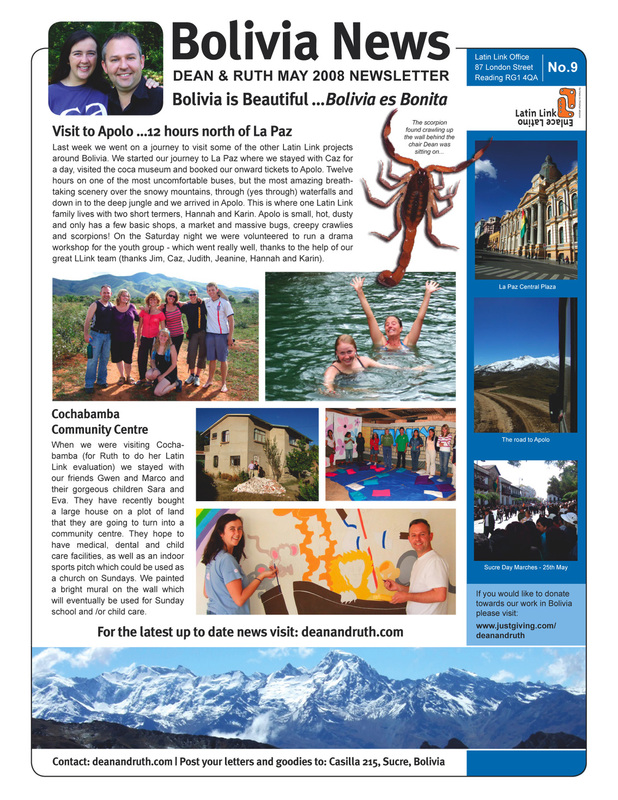 Apolo is not a very well known town in Bolivia but definitely worth a visit. The journey was 12 hours north on a small cramped bus. We left La Paz at about 7.00 am just as the sun was rising. We got an amazing view of Mount Illimani as we climbed out of the basin up to the Alti-Plano. 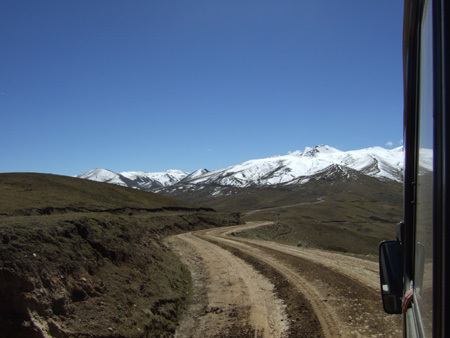 Driving through El Alto (a huge district of La Paz ) at that time of the morning was freezing cold and our hearts were touched as Caz and Judith told us about the street boys who have to live out here and are taken in by various rehabilitation projects. We passed groups of children huddled together surrounded by the desperately sad signs of glue sniffing, which they do to try and numb themselves from the cold. After traveling for about an hour we were surrounded by beautiful mountains on one side and the deep blue of Lake Titicaca on the other side. It is awesome. The bus began to climb even higher and soon we saw llamas and snow either side of the road. 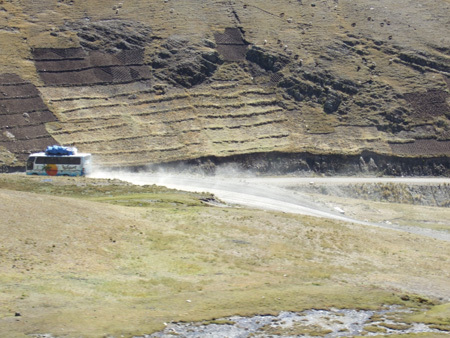 The Apolobamba mountain range is really remote and therefore unspoilt with just a few communities dotted around. The road ( untarmaced and constantly bumpy) began to twist and descend down in to the jungle. At times I was so scared to look over the edge as the drop was so deep and we were so close to the edge. But the views and waterfalls were spectacular. Arriving in Apolo at about 8 pm we pealed ourselves out of the bus and had a long needed stretch, before being hugged and kissed by Hannah and Karin who we were going to be staying with. At their house we presented them with our “goodies” we had brought from La Paz…. marshmallows, butter, cornflakes, jam and cheese. The supplies are pretty basic in Apolo and the girls were delighted. Most of all because the cheese allowed us to make pizza the next day to celebrate Hannah’s birthday. Thanks Linda! We went for a lovely walk one morning to a river, where we could swim. It was quite deep, but they assured us – no crocodiles. But there were lots of mozzies and we got bitten to pieces. We spent two amazing days with our Latin Link hosts and together we lead a drama workshop and a games night for the young people of the town. It was a really nice few days and we are so glad we went to visit Apolo. But also glad when we arrived back to Sucre …and have a shower. 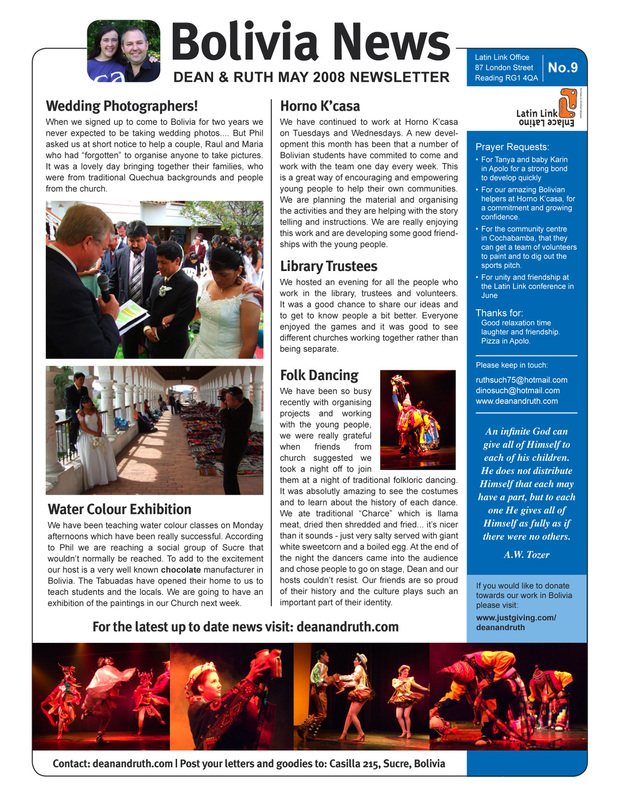 Here is our latest newsletter for May. Hope you enjoy reading it and looking at all the latest photos. You need to open each page separately and click again to enlarge it.